Sproul turns the table on the atheists by exposing the psychological roots of atheism itself, based on a close reading of the book of Romans which allows him to explain the psychological sources of atheism from within the theistic framework. In Romans 1:18-23, the apostle Paul demonstrates that the origin of unbelief is not intellectual but moral and psychological. God in his general revelation has given evidence that is sufficient to convince any rational person that there is a God. However, these persons who are otherwise rational reject the evidence because of their natural hostility towards God. Their rejection of God leaves them “without excuse”. The problem of atheism is not the insufficiency of evidence, but rather an insufficiency of the atheist. The atheist asserts that God does not exist in the face of clear revelation because he does not want to be accountable to God. The evidence must be rejected even if this means that man has to lie to himself and live a lie that leads to spiritual delusion and moral corruption. Contrary to the atheistic critique, the desire of man is not that the sovereign, personal God of the Bible exists, but that he does not (and should not) exist. As the apostle Paul demonstrates from Romans 1, it is this trauma of holiness which drives the atheist to repress any belief in God and substitute it with the idolatry of human autonomy. “If God exists, man cannot be a law unto himself. If God exists, man’s will-to-power is destined to run head-on into the will of God.” [p. 133] The atheist is essentially hostile to the very idea of God as he wants to operate in a world of his own. God even if he exists, must be wished out of existence since his existence is more than a nuisance, he is a threat to man’s desire for independence and moral autonomy. It is arguable that the atheist is guiltier of psychological prejudice than the believer. Sproul helpfully identifies the stages in the atheistic rejection of God and the psychological rationalization of unbelief. “The basic stages of man’s reaction to God can be formulated by means of the categories of trauma, repression, and substitution.” [pp. 72-33] And yet there remains a nagging fear and anxiety deep inside the atheist as he cannot evade the ‘miserable omnipresence’ of God. The worst nightmare for the atheist would be the case that for all his declaration of sufficiency and autonomy, in the end he is found naked with shame in the presence of the holy God. That is precisely the problem of God for the atheist. For if God exists, man can never be free as he will always be within the gaze of God, depersonalized and shamed and unable to define himself. No wonder, God constitutes such a threat to man. The Bible explains that this feeling of shame in the presence of the purity and holiness of God that pervades the human race originated from the Fall of Adam and Eve. The consequence is the loss of innocence and being exposed as spiritually naked. (Genesis 3: 7-8) The nakedness of sinful man who is liable to judgment under the wrathful and devastating gaze of God is a recurring motif in the Bible. The Bible is brutally honest about man’s nakedness before God, but it is also promises that God will provide a covering for the redeemed. The Chronicler prays for the “clothing of salvation” (2 Chronicles 6:41). The prayer of the historian becomes the song of the prophet. I will rejoice greatly in the Lord, My soul will exult in my God; for He ahs clothed me with garments of salvation, He has wrapped me with a robe of righteousness, as a bridegroom decks himself with a garland, and as a bride adorns herself with her jewels. (Isaiah 61:10). The being clothed with righteousness is related in the New Testament o the atonement of Christ. When the righteousness of Christ is imputed to the believer, the believer is no longer naked. Paul alludes to the psalmist when he writes “Blessed are those whose lawless deeds have been forgiven and whose sins have been covered” (Romans 4:7). The ultimate “covering” of the believer is anticipated by Paul as he contemplates the future status of the redeemed. The redeemed will move beyond the fear of objectification, exposure and shame to enjoy the loving gaze of God. Indeed, being gazed and known of the loving God is the promised glory of man. *References and pagination are taken from R.C. 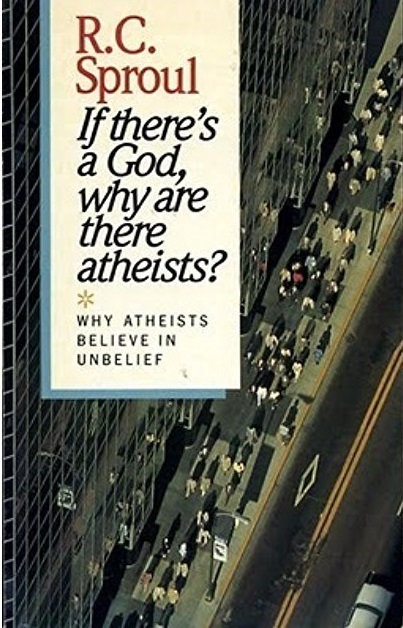 Sproul, If There’s a God, Why Are There Atheists: Why Atheists Believe in Unbelief (Wheaton, IL: Tyndale House, 1989).